The SID Capstone represents the culmination of the student’s academic and professional work in the MA SID Program. Over the two-day event, students present the development problem or issue they examined in depth during their second year. Through either a presentation on a panel with other students or in an individual scientific poster, students share their research findings with faculty and classmates as well as family and friends. The Capstone presentations showcase the skills and expertise students have developed during the program, including through their course work, field-based work and related professional experience. The students' Capstone presentations highlight the broad range of problems and approaches to sustainable development. 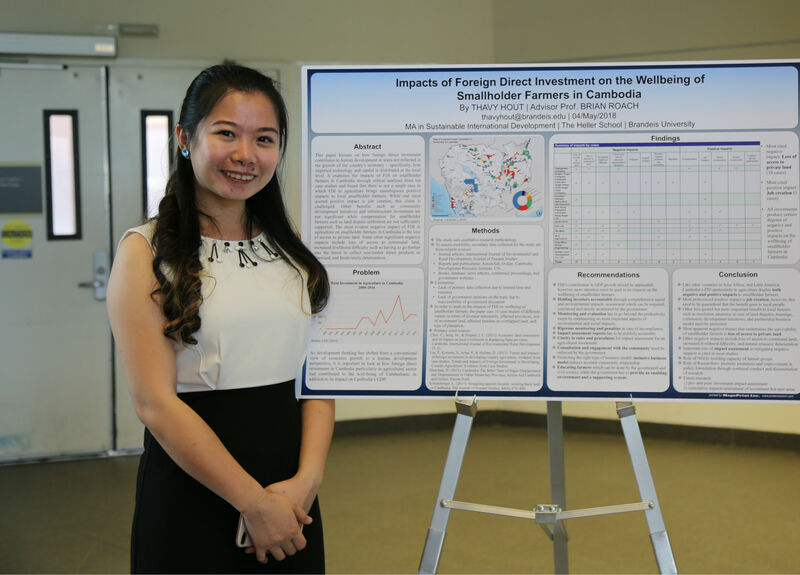 Thavy Hout, MA SID’18, presents her poster "Impact of foreign direct investment on the well-being of smallholder farmers in Cambodia."